With hunting being such a long-standing, time-honored tradition in this country and around the world, it only stands to reason that over time, a number of practices or “traditions within the tradition” have developed among regions, cultures and particularly among individual groups of hunters. Some are serious and revered, while others are, well, just plain strange to the uninitiated. As in many aspects of life, prayer figures prominently in the hunt where sportsmen of faith — though often varying degrees of practicing it — can all agree that the time outdoors we enjoy, the friendships forged through a common love of hunting and nature, and particularly, the game we take are all blessed events that reflect the Lord’s grace. The ancient hunter was able to recognize or believe that the deer he killed had a spirit. This spirit might belong to a collective spirit of nature, or more likely the spirit of the “Great Deer”. People would pray to these collective animal deities like the Great Deer or the Great Buffalo or have the shaman do rituals to please them, thus convincing the animal deity to give of itself, to let the hunter take one of his kind for nourishment. There are a number of long held — and sometimes odd — traditions surrounding the taking of a person’s first deer and the blood, or more rarely consumed organs, of that deer. Some are really kind of cool, including a “blooding” rite as it is sometimes called whereby the lucky hunter’s forehead and/or cheeks are dabbed or smeared with blood to initiate them among them among the ranks of accomplished hunters. If not all hunters have celebrated their first kill in that manner, they have likely at least heard of it. Another extremely individualized tradition among deer camps includes the resistance to shaving while hunting. On a message board, I found one hunter whose entire camp of guys doesn’t shave for the entire two-month long hunting season. This tradition makes a little sense to us here at Skunk Fusion. 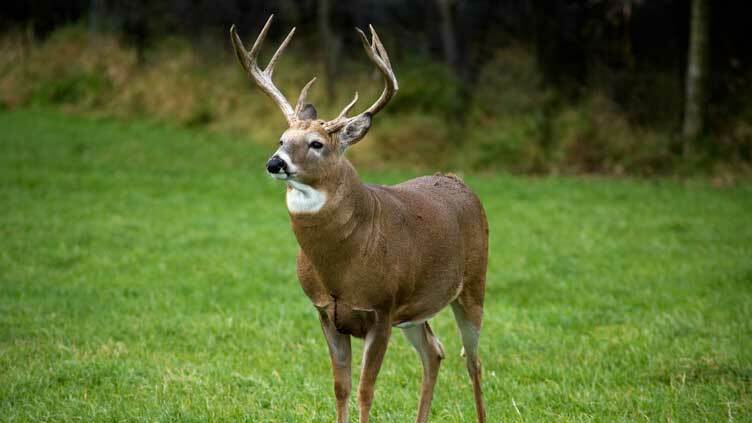 If a deer can smell you in the air, he won’t come anywhere near you. However, just not showering isn’t exactly good enough and might be worse. We have developed a skunk cover scent that covers your human scent. 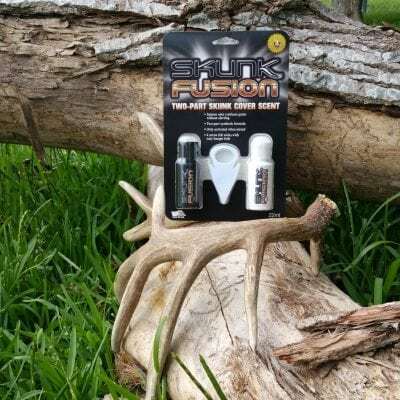 Skunk Fusion’s naturally intense skunk odor confuses (without alerting) the nose of deer.